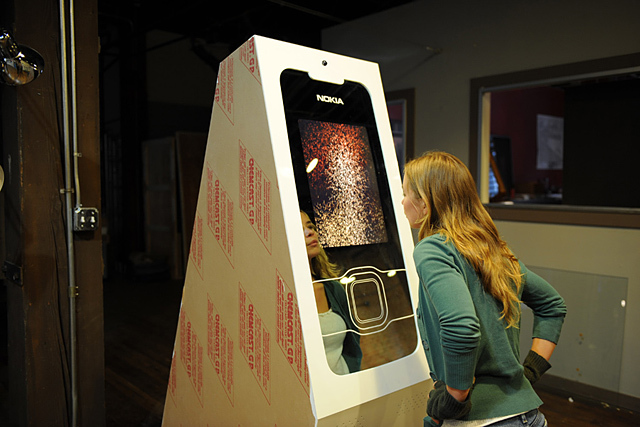 This interactive kiosk was commissioned by the retail division of Nokia for their New York flagship store. 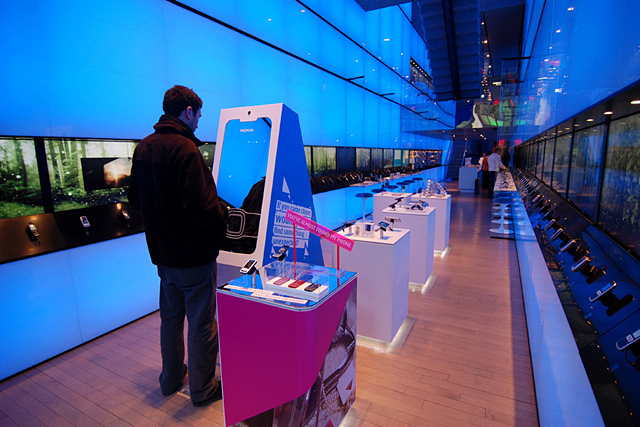 They challenged us to create a unique in-store media experience to help launch their Supernova phone which sports a silvered, reflective screen. We decided to focus on the idea of voyeurism in order to dove tail with Wieden and Kennedy's concepts for the global Supernova campaign. The main feature of the installation is the fact that it responds to the physical proximity of a user's body by displaying a dynamically changing visual reveal. 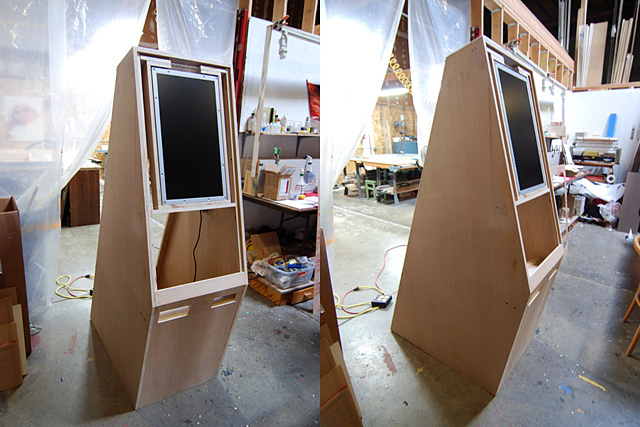 Far away from the kiosk the video image seen through the mirrored glass appears as an organic, flowing cloud of particles. As a user gets closer to the screen, the particles come together to form a completed video image. Designed in collaboration with HUSH and Obscura Digital.